I have a Masters Degree in Interior Design from Drexel University. I specialize in modern interior design, but also enjoy doing traditional and transitional design. I believe in doing client-centric design --- making a home or space beautiful by using the client's aesthetic and incorporating and perhaps reinventing special pieces that the client already owns and loves. I believe my strengths are in designing the most beautiful and functional space possible within my client's budget parameters and listening and interpreting their vision in creating and implementing the design(s). As an award winning, published Interior Designer, my design philosophy is smart and simple. I want you to love what we do in your home every day. I design rooms that you are always going to feel comfortable in. No velvet ropes blocking off the rooms, just beautiful, comfortable and gorgeous design. If you are looking for a designer who decorates around your lifestyle, believes that designers should be as passionate about decorating their client's homes as they would their own, keeps your budget in mind, and is easy to work with, contact me to set up a no-obligation consultation. Interior designer and window treatment specialist for Sheffield Furniture “As a people-person, I am genuinely interested in finding out how I can turn a client’s space into a reflection of what is important to them.” Lori Yanez is a talented interior designer with over 20 years of experience. From VISION Design and Workroom Competition to Reader’s Choice Awards, Lori has been repeatedly recognized for her stunning designs. Lori’s personal style is classic, timeless elegance that is sophisticated, comfortable, and livable. She loves working with textiles and blending fabrics, colors, and textures into cohesive palettes. Lori is also well-known for her finishing touches, such as window treatments and accessories. Combining her talent with her love for people, Lori creates a truly collaborative and enjoyable design experience for her clients. She believes that it is a privilege to be invited into someone’s home and be given the opportunity to help them design a space that is individualized, functional, and beautiful. She believes in developing strong relationships with her clients, which is part of why her clients return to her again and again. Candice Adler Design LLC | Adler Design Inc.
WPL Interior Design is an award winning high-end full service interior design firm located on Philadelphia's Main Line. They have been published in Architectural Digest, Florida Design, Design Times and many other publications and books. Specializing in high-end residential design they have completed projects throughout the United States and also in Europe and Bermuda. Regardless of style or space WPL creates beautiful and functional interiors with attention given to every detail. They are consummate professionals who listen to their clients and they execute the design with superb taste and style. Every member of the team has studied design and are experts in their field including lecturing and teaching design. They are at the peak of the professional and your experience and project with the WPL design team will not only be educational and extremely satisfying, but you will cherish the results for many years to come. 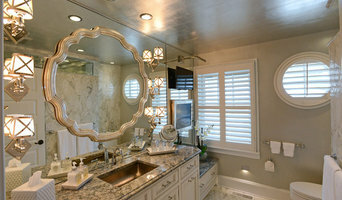 AJ Margulis Interiors is an award winning design firm. Our design sensibility is current and timeless with the goal to create environments that are in keeping with your lifestyle and taste; rooms that are fresh, stimulating and that will stand the test of time; creative living spaces that are both beautiful and comfortable. Our approach is a true collaboration with you from start to finish to create a design scheme that brings your interior project to life. The finished look will be framed by our creative understanding and expertise while reflecting your taste. Since 1998, award-winning decorator Nicole Lorber has worked, along with her talented group of design crafts-professionals, to bring delight to clients in New Jersey, Eastern Pennsylvania, and beyond, with interior touches that are truly transformational. In 2016, Distinctive Interior Designs opened a South Jersey division and can be reached at 856-452-5402, in addition to Central Jersey's office at 732-438-0096. Nicole Lorber and Distinctive Interior Designs won 2017 Contractor of the Year for Central Jersey in the category of Kitchen renovation under $30,000 along with a key kitchen cabinet resources. Nicole also is a WFCP Master, WCAA Certified Consultant & Certified Workroom, and DraperyPro member, Nicole has been a Director of Window Coverings Association of America's (WCAA) National Board and is a recent past President of the Central New Jersey WCAA Chapter. She received her degree in Design & Textile Management from Cornell University, and studied at FIT prior to winning multiple International Window Coverings Association design awards. Nicole's work has been featured in Design NJ Magazine and often seen, over the years, in Window Fashions Magazine, where she has been a regular contributor to Window Fashions Magazine's "'Ask the Expert" column. DiD has also been 'Minority/ Women Business Enterprise' certified for State and Federal commercial bids. Best of Houzz 2015, 2016, & 2017! Hello! I'm Michelle Gage, a Philadelphia suburbs-based interior designer. I fell in love with interior design at an early age. My trusty Lisa Frank notebook was always at my side, full of floor plan sketches and decor ideas. I opened it up at every house I entered. Whether you wanted it or not, I was always there to offer a friendly floor plan fix. As years passed, that passion stuck with me and ultimately led me to study at Virginia Tech, where I hold a Bachelor of Science Degree in Interior Design. Upon graduation, I moved to Philadelphia to work as a home merchant at Anthropologie HQ, buying everything from art and antiques to lighting and decorative textiles. I've worked with wonderful partners from all over the globe, buying antiques from French dealers and producing lighting with Asian vendors. Fast forward a few years to where I am now - creating magical spaces that are a true reflection of you, your family and your lifestyle. My work has been featured by Domino, Design Sponge, Apartment Therapy, HGTV Magazine - just to name a few. Currently, my husband, rescue pups and I reside right outside of the City of Brotherly Love, where we are busy renovating our forever home. When I'm not designing, you can find me at flea markets, thrift stores and estate sales. I'm always on the hunt for a glorious vintage find. I seek out the best markets while travelling. I've shopped The Paris Flea Market, The Brimfield Antique Market and The Rose Bowl. Many of the one of a kind goodies I find are available through The Early Bird Vintage on Chairish. I take joy in creating homes that appear curated over time, combining the things you love with my artful eye. Every space I create is a true collaboration of visions. Glenna Stone Interior Design is an award-winning Philadelphia interior design firm creating interiors that are a harmonious marriage of beauty, function, and lifestyle. Whether for a home, vacation retreat or place of business our goal is to make statement surroundings that express who you are. We do this by listening to you; your goals, your loves, and your needs. Then we layer in our professional design expertise to craft spaces that go far beyond what you could have envisioned alone. For renovations or new construction, we customize design services to meet the unique needs of your project, from concept through construction. With access to the best tradesman, we provide custom solutions and advocate for you through each step of the process, including floor plan and furniture plan development, lighting plans, finish and material selections, millwork and cabinetry design, window treatments, accessories, and other decorative elements. Located in Philadelphia, with projects spanning from Martha’s Vineyard to San Diego, we create interiors for the discerning residential, commercial or hospitality client, who values the emotions that are evoked when experiencing a space designed solely for them. Through well considered decisions to make a space radiant, inviting and livable we create interiors that are customized way of living. A good home design professional will hone your style down to its very essence and be able to choose a functional layout that feels natural to you. Interior design companies can be involved as much or as little as the client desires. 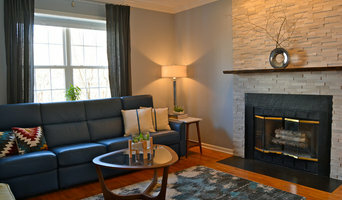 Many clients who hire an interior decorator in Pike Creek Valley, DE — particularly those who are remodeling — have a good sense of how the room should look and what products they should use. Often clients will insist that interior decorators use the products already present in the house. Other times a designer will need to start from scratch — especially if this is a newly purchased or just-built home. An interior design company will need to figure out exactly what the client needs, which includes organizing rooms, picking flooring and wall colors, and finding furniture to complement it all. Sometimes that means he or she will have to recruit help from other Pike Creek Valley, DE home professionals to help create the perfect look for your renovation. Here are some related professionals and vendors to complement the work of interior designers & decorators: Architects & Building Designers, General Contractors, Home Builders, Design-Build Firms, Photographers. Do your research before meeting with an interior designer or home decorator in Pike Creek Valley, DE. Ask yourself what you want your space to become and what it will be used for. Figure out the extent of what you need help with, what your must-haves are and what your budget is. Interior design services can add up fast, so be up front with a potential design firm or individual from the beginning. Also, pick an interior decorator that fits your style. Browse through the portfolios of different Pike Creek Valley interior design firms and decide if you would live in those houses. Just because you like something doesn’t mean you could live in it. There's a big difference! 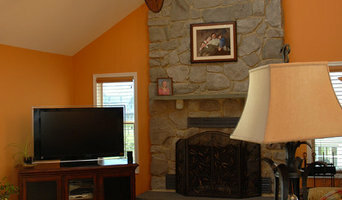 Find an interior designer or home decorator in Pike Creek Valley, DE on Houzz. Narrow your search in the Professionals section to find Pike Creek Valley interior designers near you. You can also look through Pike Creek Valley, DE photos to find a room you like, then contact the design firm who designed it.